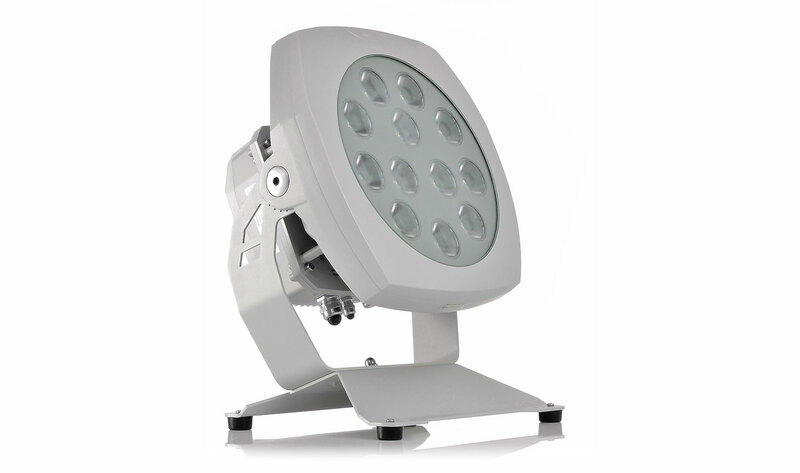 Perfect for large scale lighting of buildings and landscapes that require higher lux. The most powerful fixture in the ArcSource™ Outdoor range now comes with an integral power supply for outstanding light output of over 4000 lumens via 12 LED multichips. Featuring a flush mounted "Watch Glass" frontage that protects the unit from the buildup of dirt and debris and an IP67 rating ensures high performance even in the toughest environments. Integrated power & control electronics, high lumen output and a wide range of available optics.